Exceptional home on the corner of a cul-de-sac with a large yard! Easy access to I-25, Highway 7, shopping, restaurants and more! 30 minute drive to Boulder or Downtown Denver. This home lives larger than the square footage indicates. Exceptional home on the corner of a cul-de-sac with a large yard! 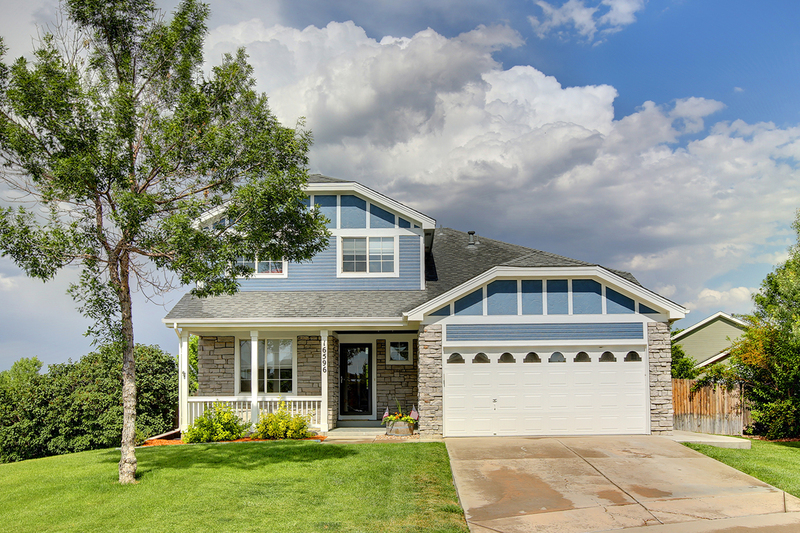 Easy access to I-25, Highway 7, shopping, restaurants and more! 30 minute drive to Boulder or Downtown Denver. This home lives larger than the square footage indicates. Extensive hardwood floors throughout the main level offer a great first impression of the home. Formal living and dining room. Open kitchen to family room floor plan offers a great space for entertaining or watching the big game! Open second story vault in the family room. Secondary family room/flex space offers a great alternative to a basement with garden level windows and lots of light. Large laundry room with custom tile. Welcoming crawl space offers a great place for storage. Private master suite on separate level to secondary bedrooms. Open loft could be 4th bedroom. Both secondary bedrooms offer mountain views. Fenced yard with a newer custom patio. Attached 2 car garage with cabinetry. Newer roof, exterior paint and A/C Unit.